Preston Sturges’s final remarkable comedy, the deliriously dark Unfaithfully Yours (1948), screened twice at this year’s TCM Classic Film Festival, on April 7 and on April 9, the last day of the annual event. 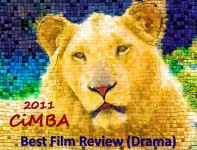 That it screened a second time speaks to the impact of this lesser known Struges jewel the first time it was shown; many of the screening slots on the festival’s final day are held open for repeat showings of “smaller” films that proved to be especially popular on their first run. Preston Sturges’s future Hollywood career became his destiny when, in 1929 and living in New York, he wrote the Broadway smash hit Strictly Dishonorable. He would make his way to the movie capital following the play’s screen adaptation in 1931. He began at Universal but made his name at Paramount where he penned several popular films including Easy Living (1937) and Remember the Night (1940). In 1940 he asked for and was given a chance to direct as well as write. The result was his political sendup, The Great McGinty, a break-out hit that brought Sturges an Oscar for Best Original Screenplay, the first ever awarded in that category. His move behind the camera would make him one of Hollywood’s first credited writer/directors, and his successful transition into that role paved the way for all writer/directors to follow, from Billy Wilder to the Coen Brothers. Sturges followed McGinty with a string of satirical and sophisticated yet wild and crazy romps, all of which he wrote and directed. These are the great classics for which he is revered today: The Lady Eve (1941), Sullivan’s Travels (1941), The Palm Beach Story (1942), Hail the Conquering Hero (1944) and The Miracle at Morgan’s Creek (1944). Though Sturges was churning out hit after hit for Paramount, the studio began to view its genius-in-residence as next-to-impossible to deal with, and relations between the studio and the man soured. When his split from Paramount finally came, Sturges went into partnership with Howard Hughes on California Pictures for three tortuous years. Sturges and Hughes parted ways in 1947 and the writer/director soon went to work for Darryl F. Zanuck at 20th Century Fox. Zanuck was interested in a story Sturges had written years earlier titled Matrix. Ultimately, Matrix was shelved for lack of interest and a treatment of another early Sturges story, one he’d been calling The Symphony Story, was picked up instead and retitled. Unfaithfully Yours bears most trademark Sturges elements – it moves at a dizzying pace, overflows with sharp dialogue, is peopled with assorted (and well-cast) eccentrics and its plot completely confounds audience expectations. But in this case Sturges ventured into especially black farce. The film opens with the return to New York of Sir Alfred de Carter (Harrison), a well-known symphony conductor, who has been working in London. He is warmly welcomed by his beautiful and doting wife, Daphne (Linda Darnell). But soon the mischief begins. It seems that before leaving New York, Sir Alfred had asked his rich but dim brother-in-law (Rudy Vallee) to keep an eye on Daphne while he was away. The brother-in-law misinterpreted the request and took it upon himself to hire a private detective to monitor her every move. And now he has come to deliver the detective’s report. Sir Alfred, initially shocked and outraged at the misunderstanding, eventually deigns to read the report and then works himself into a frenzy of jealousy and suspicion. While conducting a concert after quarreling with his wife, Sir Alfred begins to fantasize about how to handle what he believes is her infidelity. As he conducts three orchestral pieces, he vividly imagines three different possible scenarios – each played out onscreen. The first fantasy involves murder and a frame-up, in the second Sir Alfred is gracious and obliging, in the third he falls victim to his own bravado. When the concert finally ends, Sir Alfred sets out to make one of his fantasies real. 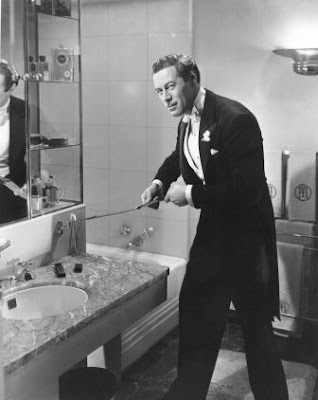 It is at this point that Rex Harrison, generally typecast as the stereotypically suave aristocrat, reveals an incredible flair for slapstick comedy. Who knew the elegant Brit was born to execute the perfect pratfall? The film’s themes are dark and, perhaps, for the audience of its time, too much so for a film already confusingly promoted as “six kinds of picture all rolled into one." But there was also the unfortunate timing of the film’s release in late 1948, for it followed on the heels of a notorious Hollywood scandal involving the film’s leading man. Rex Harrison had become involved in a romance with starlet Carole Landis the previous year. The affair was no secret and was apparently made public by columnist/radio commentator Walter Winchell. On the night of July 4, 1948, after Harrison spent the evening with her at her home, Landis consumed a lethal dose of barbiturates. 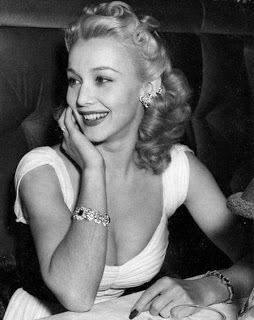 The rumor mill had it that Landis had been despondent because Harrison refused to leave his wife, actress Lilli Palmer. There was also speculation that Landis had been alive when Harrison discovered her body but that he had called his publicist for advice rather than call an ambulance. There was even conjecture that Harrison had murdered the woman and staged the scene to look like suicide. For whatever combination of reasons, Unfaithfully Yours did not find an audience during its release. In his autobiographical notes Sturges reflected, “Unfaithfully Yours received much critical acclaim and lost a fortune.” That the film failed contributed to the steep decline of his increasingly precarious career. He would write and direct only one more Hollywood film (The Beautiful Blonde from Bashful Bend in 1949) and it was a resounding flop. He went on to work briefly as a writer for MGM on a Clark Gable project but his film career was effectively finished. 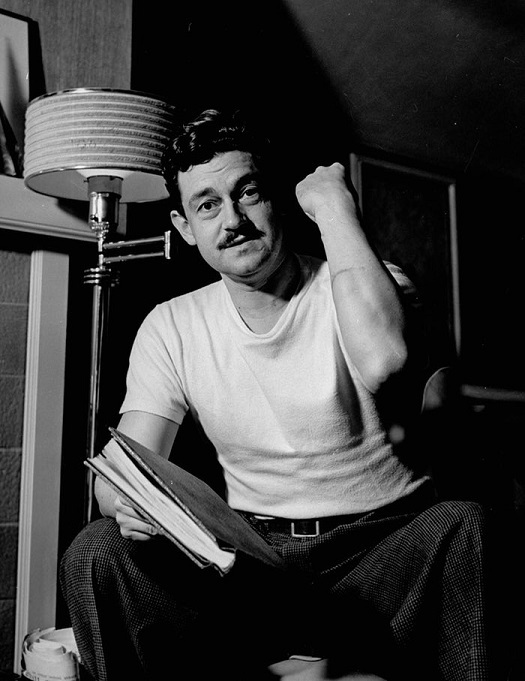 Preston Sturges died in New York in 1959 at the Algonquin Hotel while working on his memoirs. He was 60 years old. Unfaithfully Yours is now part of the Criterion Collection along with the rest of his seminal comedies. 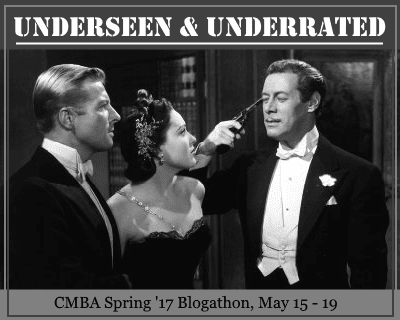 This post is my contribution to the Classic Movie Blog Association’s Spring Blogathon, Underseen & Underrated, click here for links to participating blogs! At unexpected times a line from Unfaithfully Yours will pop into my head and I chuckle to myself the rest of the day. Oh yes...there are lines from so many of his films that pop up now and then. For me, the majority are from Lady Eve. UNFAITHFULLY YOURS seems to me to be a film ahead of its time, one of those (like VERTIGO?) that was too far outside the mainstream of its era to be widely accepted. Over time, though, they rise - often above the more popular films of their time. Rex Harrison as a bungler? How did this one get past me? I'll have to catch in on the next TCM cycle. Thanks for this very interesting post! This is one of my very favorite Rex Harrison performances, Jacqueline, he is flawless - and hilarious. Hope you enjoy it! I was one of the lucky ones to have seen this the first time it screened at TCMFF on 4/7. In fact, it was a highlight of the festival for me. Uproarious! One of the biggest surprises, as you mentioned, was Rex Harrison's slapstick scene. Who would have thought? And he sustained that, with virtually no dialogue, for several minutes. Thanks for writing about this one; I hope more viewers will check it out. So glad you had a chance to see UNFAITHFULLY YOURS at the festival, Jocelyn. There's nothing like seeing a great film from the classic era on a big screen with an admiring (and packed) audience. 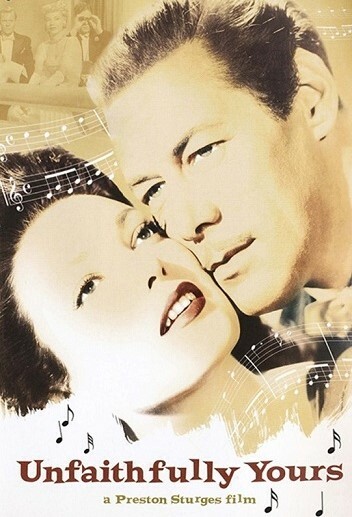 Rex Harrison makes the movie, his performance is just amazing. Lady Eve, I'm taking your word on this. For some reason, I always have a resistance to both Rex Harrison AND Preston Sturges. But, I trust your great taste, so I am willing to give this one a try. My dear FlickChick, I am honored that my opinion might influence you to watch a film directed by and starring men you aren't at all keen on. Would love to know what you think! My love for this movie knows no bounds. Excellent write-up on one of my favorite Sturges comedies, your Ladyship. This is just about the only Sturges film I have not seen. Not sure why; it's been on TCM enough times. Part of it may be to a dislike for Rex Harrison. Then again, I cannot even explain why I don't like him. Anyway, a great review as always. TY, John! In putting together a profile on Rex H. a few years ago I discovered NOBODY he worked with seemed to like him. Even many who admired him and later met him found him extremely unlikable. So...I'm not his biggest fan either, but he is well-cast and great in this one. I've always loved this one, too; I expected Harrison to be funny -- after all, he starred with great success in Noel Coward's dark comedy (after all, everybody dies in the end) Blithe Spirit. But I also thought Linda Darnell was wonderful as the lovely and devoted wife. The scene where he demands that she leave the room so he can disrobe is hilarious. And she perfectly sums up the situation from her point of view, "Honestly, Alfred, you're getting nuttier than a fruitcake!" I agree that Linda Darnell held her own and more in UNFAITHFULLY YOURS. 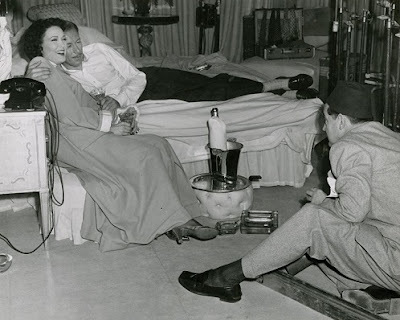 Though I imagine the fact that she was under contract to Fox had a lot to do with her casting, Preston Sturges had a real knack for getting the best from his players. She combined being gloriously beautiful to look at with displaying a practical, wifely attitude, which worked really well.